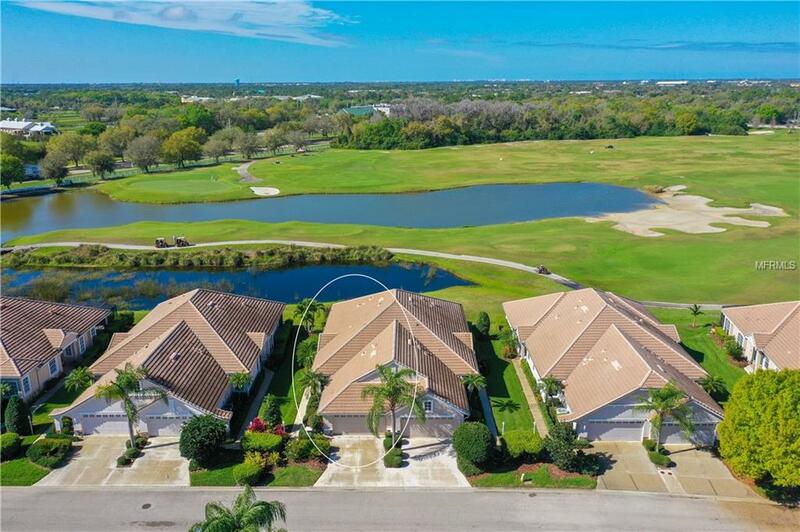 Experience the art of Country Club living on the 18th fairway within the Lakewood Ranch Country Club where every day is capped with sunsets over the golf course. 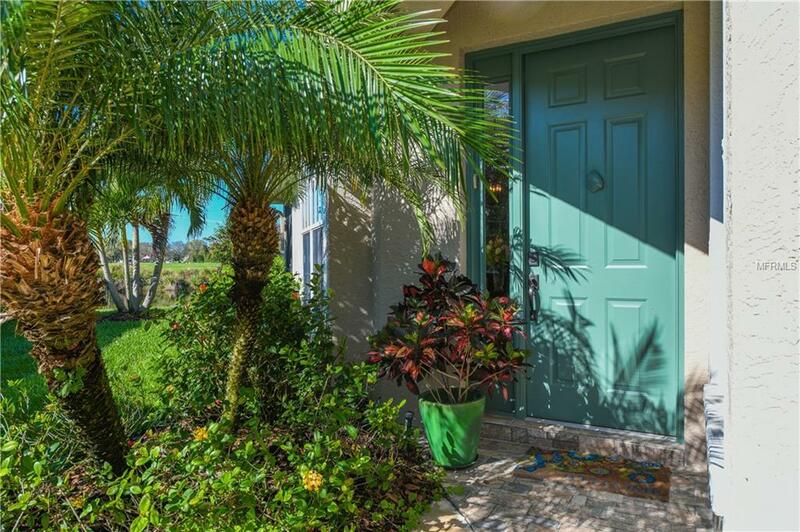 This two-bedroom villa is a delightful mix of open spaces, alluringly updated rooms, and serene views across the greens. Sunlight takes center stage as you step in through the entry foyer where windows illuminate the entertaining area, made manifest by high ceilings and a palette of lightly-hued finishes. Plantation shutters and tile floors add to the overall elegance. The newly updated kitchen is beautifully detailed with cream-colored cabinets, granite surfaces, glass tile backsplash, and stainless appliances. An intimate eat-in caf is lovely for breakfast before a day on the course. Youll relish the extra space provided by the office while a guest bedroom makes visitors and loved ones feel right at home. Postcard perfect views from the master suite are richly contrasted in greens and blues. A screened patio is a refuge devoted to peace and tranquility with water vistas, refreshing breezes, and the smell of freshly cut grass to complement your after-dinner drinks. An oversized two-car garage with above-storage complete the picture. 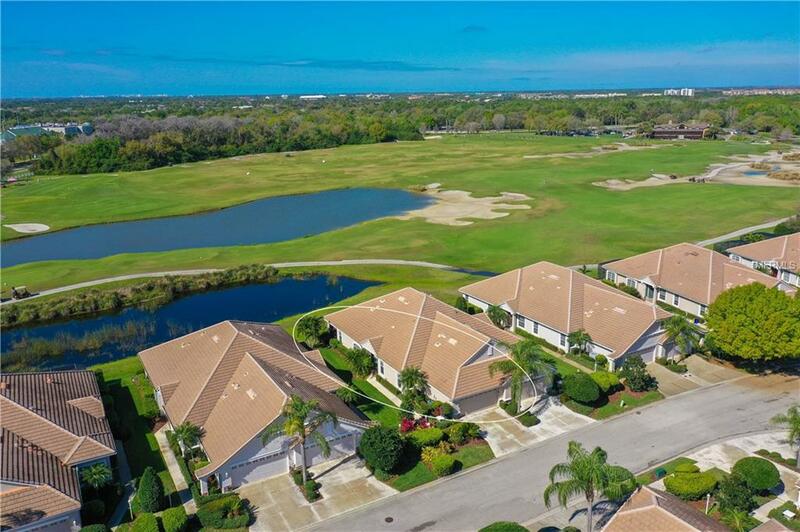 Amenities include maintenance-free living, a community pool, golf, tennis, club houses, and more. 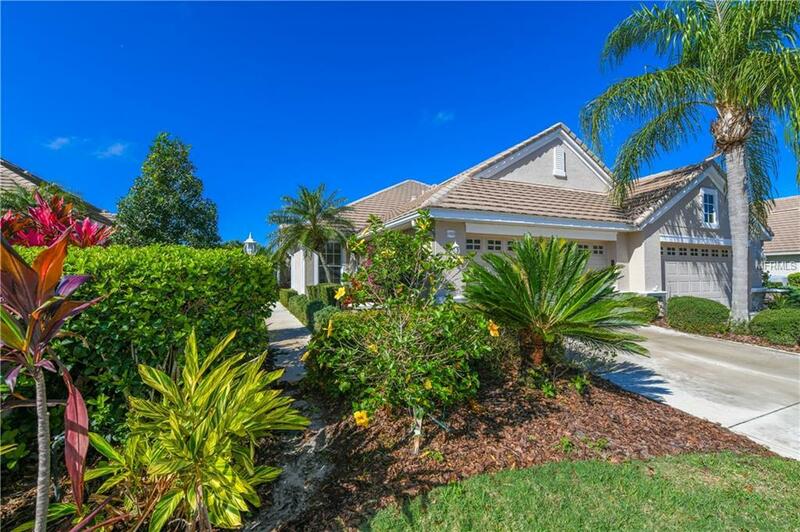 Lakewood Ranch Main Street is just a short drive away for shopping, dining, and yearly festivals. The home is also near UTC, arts and culture, and world-renowned white-sand beaches. Amenities Additional Fees Please See Hoa Docs For Additional Information.